By all estimates, it's a minority of diaspora Muslim women in Europe and Great Britain that appear in public with their faces and bodies totally veiled. The exact number is difficult to document yet there are just enough of them on the street to bother and intimidate some of us. The result is an aggressive debate that just won't go away. The European Court of Human Rights recently ruled in favor of France's law banning full face veiling in public. There is also a legal ban in Belgium and in the Italian-speaking region of Ticino, Switzerland. As the movement gains momentum in Europe, there is now a petition campaign in Great Britain to get 100,000 signatures, enough to force a parliamentary debate on the subject. What's interesting about this recent campaign is its origin. It is not, as one might assume, an Islamophobic initiative of conservative Christians, but the brainchild of MECO, a progressive Muslim organization. The Muslim Educational Center of Oxford, under the directorship of imam, Taj Hargey. Their website asks for debate about the "toxic Wahhabi-Salafi distortion of Islam" and "the blind importation of Saudi tribal customs." MECO wants a discussion about Muslim women's rights in general. MECO wants to restore Qur'anic Islam by rejecting "cultural Islam." MECO's new campaign is Phase II of an earlier initiative. Dr. Hargey is adamant about the "lies" that surround the burqa and niqab. This scholarly man with a doctorate from Oxford University vigorously asserts that full-faced veiling has nothing to do with Islam. "It is a pre-Islamic custom from Byzantium that was later integrated into Muslim society and then given a veneer of religion as justification." MECO's earlier position asserted that a legal ban was inappropriate. When France first passed their law to make it a criminal offense to appear in public fully veiled, MECO's website claimed: "Any similar official restriction in the UK will be counterproductive and contrary to Britain's liberal heritage." Since the recent ECHR ruling, however, MECO has changed its position. Now they want a ban. In a telephone interview, Dr. Hargey said that he's lost patience and hates the sight of the young (and getting younger) women he sees fully veiled in Oxford banks and supermarkets. "This is not appropriate to Islam," he says. "The Islam I believe in wants equality for women and asking them to wear a mask in public is not equality." Within the diaspora's traditional Muslim communities, patriarchy prevails and it is the family's original culture - determined by both geography and sociology - that indicates whether a woman is likely to cover or not. If she does, it might be a hijab, shayla or Al-Amira (headscarves); a niqab (a veil for the face that leaves the eyes clear); or a burqa (a one-piece veil that covers the face and body, often leaving just a mesh screen to see through. Who are these young women that Dr. Hargey sees in his community? Why are they covering up when many of their mothers and grandmothers did not? Historians confirm that during the first half of the 20th century, millions of Muslim women decided to abandon the head coverings their mothers had used. Yet in the second half of the century, millions of Muslim women reversed the trend and started veiling again. How and why is the question Harvard professor, Leila Ahmed asked when she researched and wrote A Quiet Revolution: The Veil's Resurgence from the Middle East to America (2011). This provocative book demonstrates how history matters; how issues of political power, imperialism and foreign policy influence women and interact with their claims to autonomy and agency within their communities. In other words, adopting any form of veiling is complicated. In some cases it might be the result of an oppressive family. But in many cases it is voluntary and a symbol of identity. This is the fodder for heated arguments among those who may or may not support MECO's campaign. Will British citizens sign up to make criminals out of fully veiled women who appear in public? The campaign will go on for a year, MECO says and opponents and proponents are once again facing off. First, there are those who identify as progressive Muslims. They hate the burqa and niqab, yet vehemently oppose a law making it illegal to wear them. 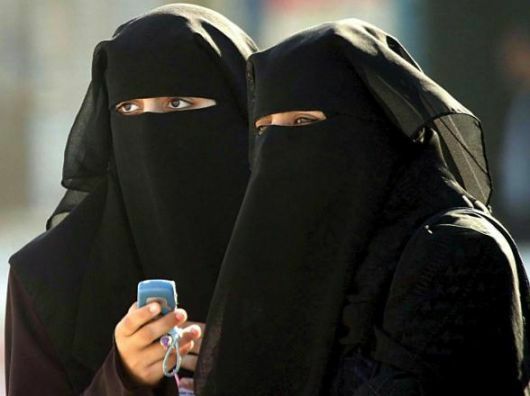 Criminalizing full-face veiling infringes on personal freedom in a modern democracy, they say, by putting the women who wear burqas and niqabs under virtual house arrest. In addition, a ban would stigmatize those who veil and give people a legitimate excuse to harass the ones who did not conform. Progressive Muslims of both genders oppose a ban but most agree that it is a women's issue that relates to empowerment and agency. Rabiha Hannan is co-author of Islam and the Veil (2011) and co-founder of New Horizons in British Islam, a charity that works for reform in Muslim thought and practice. "If you're serious about standing up for women's rights and empowering them," she says "don't tell people how to dress, but allow them to have a neutral political space where they can ask the questions that need to be asked. Let them have the debates and discussions on a more level playing field, so that all sides can be heard and all views debated." Salma Yaqoob, formerly a Birmingham city councilor, says the very debate about the burqa and niqab has a detrimental effect on Muslim women in general. "The women who do wear the face veils are a tiny minority within a minority, so the thought that they're any kind of threat to British society as a whole is beyond laughable. But at the same time," she continues, "(they) increase the vulnerability of Muslim women as a whole. Time and again, verbal and physical attacks on Muslim women increase when we have these so-called national debates. In emotional and psychological terms, I think it does a huge amount of damage." Sara Khan is director of a British Muslim women's human rights organization, Inspire. She is opposed to a ban because she resents men telling women how to dress. In an email she says: "I also do not feel Muslim men have the right to tell women what to wear... so I find the zeal of Dr. Hargey in wanting to legislate on women's clothing patronising. The controlling of women's bodies...is a long battle Muslim feminists (have been) fighting, whether it's ...extreme or conservative religious elements, progressives like Dr. Hargey or even the state, (such as) France on one end or Iran/S.Arabia at the other!" A second voice in the debate is from diaspora Muslims who do support a ban. Two of the most vocal are Yasmin Alibhai-Brown, co-founder of British Muslims for Secular Democracy and public intellectual, Mona Eltahawy, the Egyptian journalist/activist who wrote the landmark article, "Why Do They Hate Us?" in Foreign Policy, (April 23, 2012). Eltahawy has said repeatedly that full-face veiling is the equivalent of the disappearance of women. She wants it banned. In answer to Alibhai-Brown and Eltahawy is writer and Muslim feminist, Talat Yaqoob who insists that Muslim women have to be at the center of any conversation about veiling. Discussion and debate inside the community is what is needed. She agrees with those who don't want the government telling women how to dress. "...otherwise we're just reinforcing another form of patriarchy," she says. A third voice comes from secular humanists that are motivated by humanitarian concerns. At an upcoming conference on the Religious Right, Secularism and Civil Rights, "the burqa and conspicuous religious symbols" will certainly be on the agenda. Some secular humanists want a ban because they feel it is the only way to "liberate" the Muslim women who wear it. They do not acknowledge the "quiet revolution" that Leila Ahmed writes about or the influence it's had on the younger generation. These good people -- even those who identify as feminist -- are often accused, ironically, of paternalism. In the final analysis, it is unlikely that Great Britain would ever pass a law banning an item of women's clothing. France and England are not motivated by the same mentality. France has its honored principle of laïcité and the Brits have an uncodified Constitution. It is the difference between freedom from and freedom to. Stand by. More to come.